Buddhism, according to the Tibetan tradition, was first given recognition in Tibet during the reign of Srong-brtsan-sgam-po (c.627-c. 650). This king had two queens who were early patrons of the religion and were later regarded in popular tradition as incarnations of the Buddhist saviouress Tara. The religion received active encouragement from Khri-srong-lde-btsan, during whose reign (c. 755-797) the first Buddhist monastery in Tibet was built at Bsam-yas (Samye), the first seven monks were ordained, and the celebrated Indian Tantric master Padmasambhava was invited to Tibet. A great deal of legend surrounds Padmasambhava, who was a mahasiddha ("master of miraculous powers"); he is credited with subduing the Bon spirits and demons (the spirits and demons associated with the indigenous religion of Tibet) and with subjugating them to the service of Buddhism. At the time, influences from Chinese Buddhism were strong, but it is recorded that at the Council of Bsam-yas (792-794) it was decided that the Indian tradition should prevail. Following a period of suppression that lasted almost two centuries (from the early 800s to the early 1000s), Buddhism in Tibet enjoyed a revival. During the 11th and 12th centuries many Tibetans traveled to India to acquire and translate Buddhist texts and to receive training in Buddhist doctrine and practice. 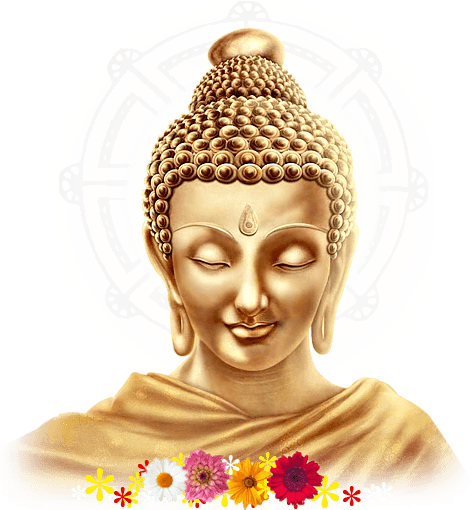 With the assistance of the renowned Indian master Atisha, who arrived in Tibet in 1042, Buddhism became established as the dominant religion. From this point forward Buddhism was the primary culture of the elite, was a powerful force in the affairs of state, and penetrated deeply into all aspects of Tibetan life. One of the great achievements of the Buddhist community in Tibet was the translation into Tibetan of a vast corpus of Buddhist literature, including the Bka'-'gyur ("Translation of the Buddha Word") and Bstan-'gyur ("Translation of Teachings") collections. The Bka'-'gyur contains six sections: (1) Tantra, (2) Prajñaparamita, (3) Ratnakuta, a collection of small Mahayana texts, (4) Avatamsaka, (5) Sutra (mostly Mahayana sutras, but some Hinayana texts are included), and (6) Vinaya. The Bstan-'gyur contains 224 volumes with 3,626 texts, divided into three major groups: (1) stotras (hymns of praise) in one volume, including 64 texts, (2) commentaries on tantras in 86 volumes, including 3,055 texts, and (3) commentaries on sutras in 137 volumes, including 567 texts. A major development in the history of Tibetan Buddhism occurred in the late 14th or early 15th century when a great Buddhist reformer named Tsong-kha-pa established the Dge-lugs-pa school, known more popularly as the Yellow Hats. In 1578, representatives of this school succeeded in converting the Mongol Altan Khan, and, under the Khan's sponsorship, their leader (the so-called third Dalai Lama) gained considerable monastic power. In the middle of the 17th century the Mongol overlords established the fifth Dalai Lama as the theocratic ruler of Tibet. The succeeding Dalai lamas, who were regarded as successive incarnations of the bodhisattva Avalokiteshvara, held this position during much of the remainder of the premodern period, ruling from the capital, Lhasa. The fifth Dalai Lama instituted the high office of Panchen Lama for the abbot of the Tashilhunpo monastery, located to the west of Lhasa. The Panchen lamas were regarded as successive incarnations of the buddha Amitabha. Unlike the Dalai Lama, the Panchen Lama has usually been recognized only as a spiritual ruler. Throughout much of Tibetan history many of the great monasteries were controlled by aristocratic abbots who were able to marry and pass along their monastic possessions to their sons. Monks were often warriors, and monasteries became armed fortresses. The Manchus in the 18th century and subsequently the British, the Nationalist Chinese, and the Chinese communists have all tried to exploit the division of power between the Panchen and the Dalai lamas for their own ends. In 1959, after the Dalai Lama fled to India, the Chinese communists took over his temporal powers. Under Chinese rule, Tibetan Buddhists have suffered periods of persecution, some of them severe. Not surprisingly, this has strengthened the bond between Buddhism and nationalist resistance.